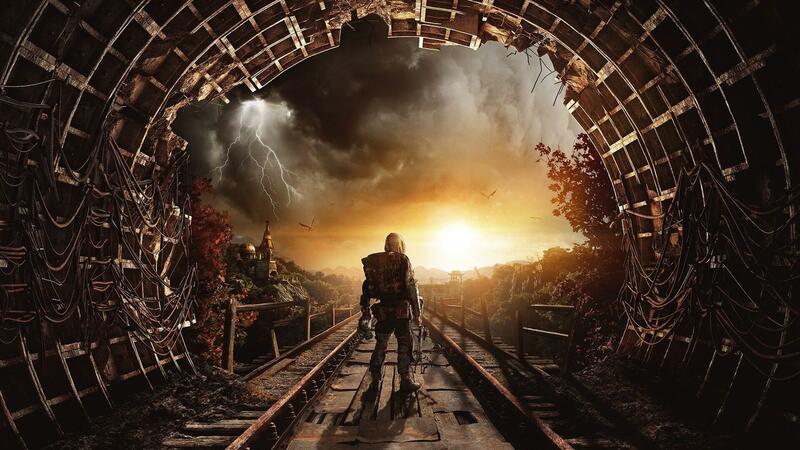 Something to look forward to: Since the launch of Metro 2033 back in 2010, the games have been up there with Crysis when it comes to pushing PC hardware to the limits, and it appears that the upcoming Metro Exodus is continuing that trend. 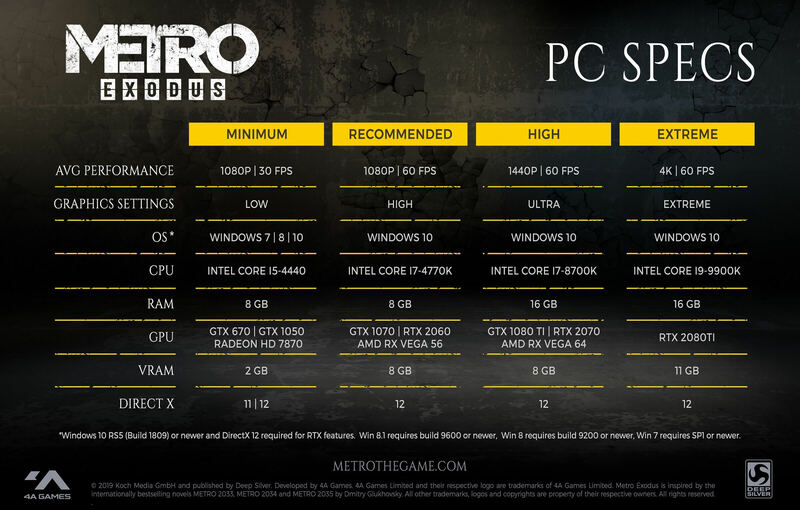 4A Games has just released the required PC specs for the third main entry in the franchise. As is the case with most modern games, it lists what you need to play the game at Minimum, Recommended, High, and Extreme settings. Minimum, which is 1080p at 30fps, is the only level where you can play Exodus on Windows 7 and 8. Asking for a GTX 670, GTX 1050, or Radeon HD 7870, along with a Core i5-4440, the requirements are higher than most games, which tend to need literal potatoes to play at this quality. Even the Recommended setting is more demanding than most. To bump that full HD gameplay up to 60fps, you’ll need a GTX 1070, RTX 2060, or AMD RX Vega 56, as well as a Core i7-4770K and 8GB of RAM. Those with 1440p monitors who want 60+ fps better have a GTX 1080 Ti, RTX 2070, or AMD RX Vega 64 and a core i7-8700K with 16GB of RAM, while the magic 4K@60fps is reserved for those with deep pockets: you’ll need a Core i9-9900K, a RTX 2080 Ti, and 16GB of RAM. While most of those settings ask for a pretty beefy setup, Metro Exodus does look gorgeous. It’s also one of the few games to feature real-time ray tracing—good news for owners of RTX products. 4A will be releasing performance profiles for these cards soon.